I came across this quote not so long ago and I just felt like it was the perfect answer to my endless "Whys" for many months now. You see, I've never been good at waiting. I grew up thinking that all things in life can be achieved with strategic planning and precise calculations. Of course, prayers will always be part of the equation. For most things though, this type of "strategy" has been working. Dreams have became reality, goals have been met. However, I also realized that there are some things in life where we have no control of. Sometimes, all it takes is to wait for it to happen. Slowly, I've come to understand that some things do take time and when it comes, it will be worth the wait. When it comes to food, a lot of the most delicious things do take time too. Slow-Roasted Pork that melts in your mouth, my Kongkong's Pata Tim which he cooks for more than 5 hours to make it so fork-tender and flavorful and just recently, even the new Swift Premium Corned Beef is slow-cooked and cured perfectly to bring out a fuller and richer beef flavor. 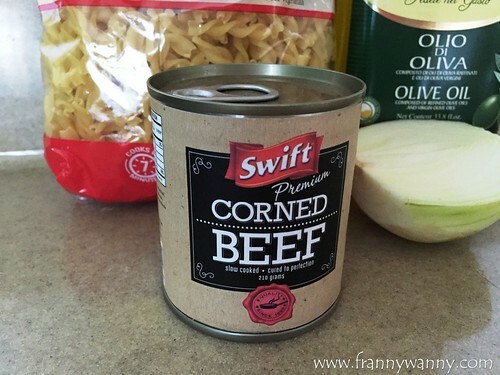 During my recent trip back to Manila, I got hold of a couple of cans of this new type of corned beef and I happily brought some back with me as I'm never satisfied with the type of corned beef that's locally available here. 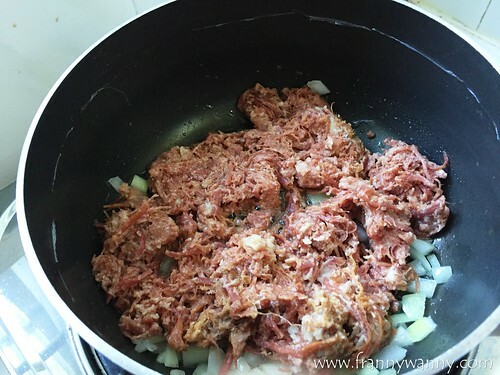 The best way to prepare this corned beef? Doing it the way my Mommy has been cooking it for years. 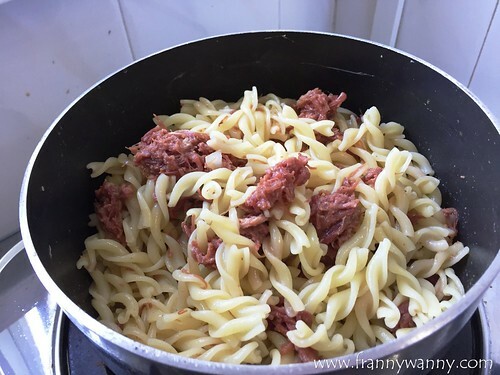 Sharing with you my personal take on Mommy's Corned Beef Macaroni. 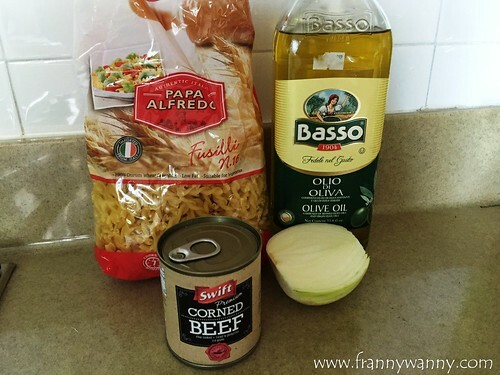 - 1.5 cups of macaroni/penne/fusilli noodles, cook following the directions on the package. 1) Heat up the pan with a small amount of oil. We just poured in 1 tsp worth of oil just enough to saute the onions with. 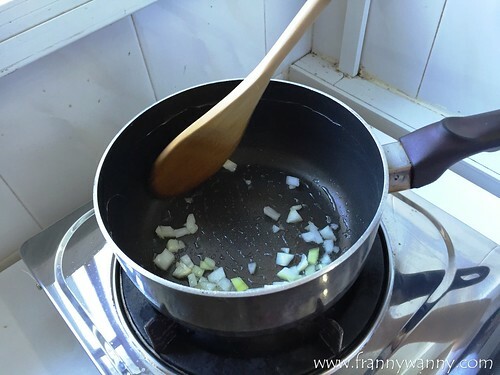 2) Quickly saute the onions. 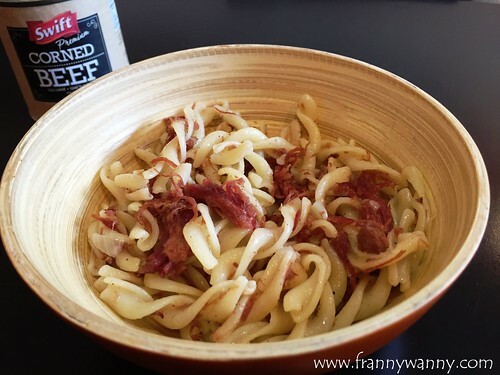 3) Pour in the Swift Premium Corned Beef and mix very well. 5) Season with pepper to taste. It's a really easy recipe and I was done in less than 30 minutes! That includes chopping and all the prep work too. What made it easy was I didn't had to rummage through our drawer for the can opener as the corned beef came with the easy pull-up lid. Yay! As I served it to Paul for launch yesterday, he immediately noticed how chunky the corned beef was. It was really good as we both dislike mushy corned beef. Also, the flavor was just right as it wasn't salty as all. I'm very happy with my first taste of the Swift Premium Corned Beef and I will make sure to buy more on my next visit to Manila.